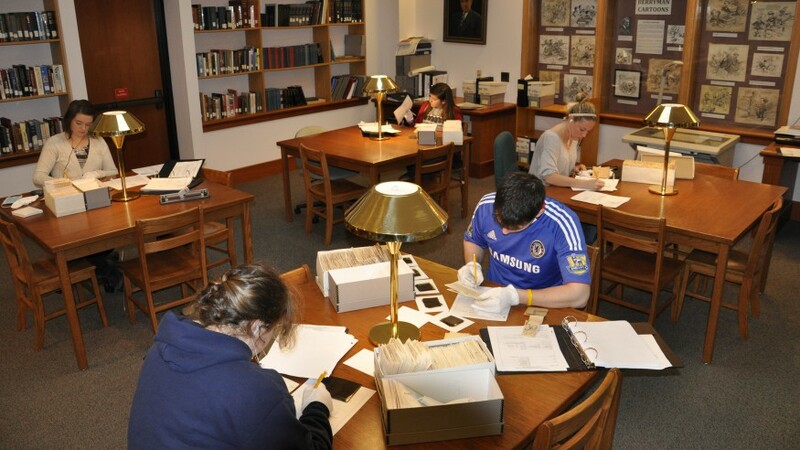 The Archives and Historical Collections Department acquires and preserves collections which document the history of Stonehill, Southeastern Massachusetts and support the mission of the College. 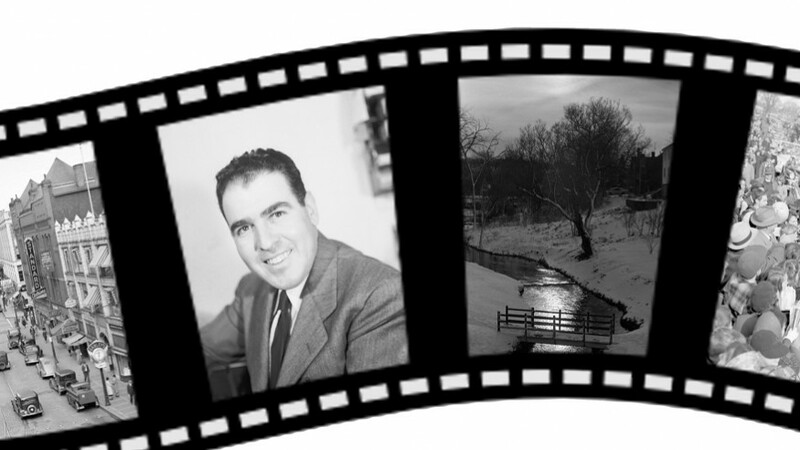 A collection of over 500,000 negatives of Brockton and Southeastern Massachusetts from the 1930s-2003. This collection includes the manuscripts, correspondence, photographs and artifacts of this former Speaker of the U.S. House of Representatives' 50 years in American political life. Stonehill alumnus, Michael Novak ‘56, retired George T. Jewitt Scholar in Religion, Philosophy and Public Policy at the American Enterprise Institute in Washington, D.C, is a world renowned author, philosopher and theologian and recipient of the 1994 Templeton Prize. His papers include over 300 linear feet of manuscripts, books, correspondence, newspaper columns, journal articles, awards, and memorabilia. James "Lou" Gorman graduated from Stonehill College in 1953 and is one of the College's most honored alumni. The Gorman Collection was donated to Stonehill College in 2011, and is a diverse combination of materials that document the life of Mr. Gorman and his overlapping careers in Major League Baseball, the United States Navy and education. The collection consists of documents as well as artifacts that include artwork, awards, clothing, furniture and memorabilia. 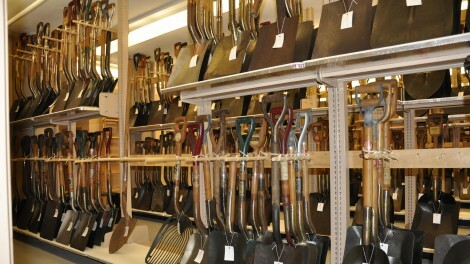 Arnold B. Tofias Industrial Archives (aka Ames Shovel Museum) Donated to Stonehill College by real estate developer, Arnold Tofias, in 1973, The Arnold B. Tofias Industrial Archives are the records, artifacts and papers of 19th and 20th century Ames enterprises, in particular the O. Ames Company, manufacturers of shovels. 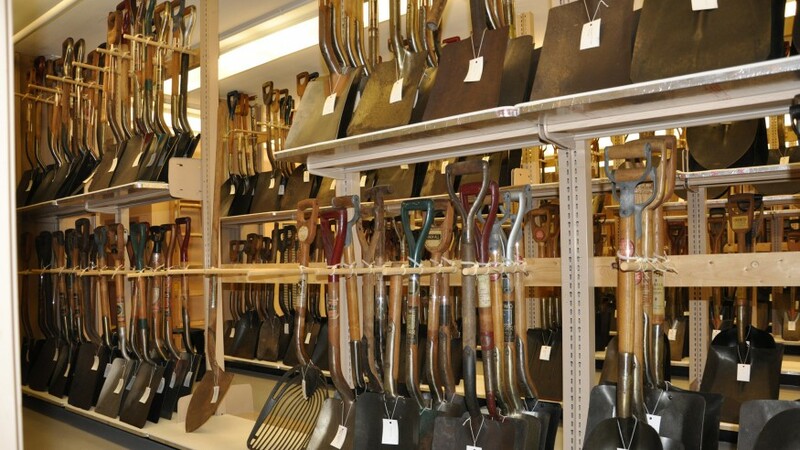 In addition to 783 shovels, the collection includes over 1,500 linear ft. of manuscript material. Ames True Temper Collection The Ames True Temper Collection was acquired by Stonehill College from 2002 to 2006 from the current Ames Company's facility in Parkersburg, West Virginia, since closed. The collection includes some materials from the 19th century but is dominated by 20th century items. Everything for inventories and catalogs to anti-submarine depth charges ("hedgehogs") made during WWII. The collection also contains promotional films and videos. See the finding aid for a more detailed itemization of items in the collection. Ames Family Collection This Collection documents the diverse reach of an enterprising and successful industrial family from the mid-19th through mid 20th centuries. 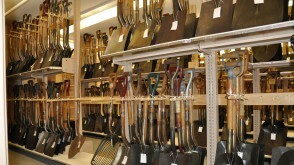 Success with shovels provided the means to investment and financial success in other industries. The Collection also contains records of these endeavors in addition to extensive records of the day to day personal finances and estates of the many members of the Ames Family in the 19th and 20th centuries. Ingram Collection Donated by David B. Ingram in 2007, this collection provides primary and secondary source data on ironworking in southeastern Massachusetts during the Colonial era. 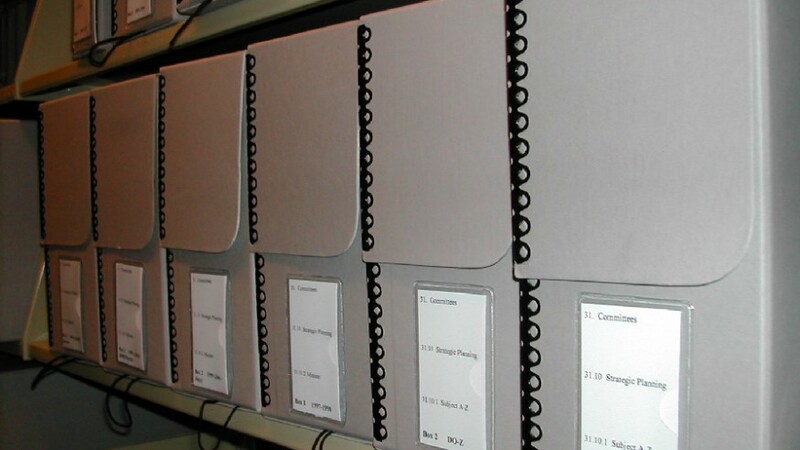 The product of over fifty years of research in Boston area historical collections, the David B. Ingram Collection consists of photocopies of maps, deeds, correspondence, meeting minutes, and other primary sources, as well as historical volumes and Mr. Ingram’s research notes. Topics addressed by the collection include the iron industry, cannon making, lands and boundaries in southeastern Massachusetts, and individual and family biographical information. Brockton Shoe Museum Collections Dedicated in 1981, the mission of the Brockton Shoe Museum is to preserve and promote the history of the United States Shoe Industry with an emphasis on Brockton and Southeastern Massachusetts. Its collections include over five hundred different shoes and records and publications relating to the shoe industry. In 2003, concerned about two recent acquisitions, the Shoe Trades Publications Collection and the William A. Rossi Collections, the Museum entered into a partnership with Stonehill College, located a few miles south of the museum and placed these collections on loan with the department. In 2016, Sr. Margherita Marchione, MPF donated her collection of materials on Pope Pius XII to Stonehill College. The collection represents a significant body of knowledge on Pius XII, and consists of books, newspaper clippings, scrapbooks, and exhibit materials. Since it acquired the collection, the Stonehill College Archives has been working to process the collection in order to make it available to researchers.